Monday evenings : 18.45–20.45, in the galleries at Tate Modern. A course with SJ Fowler exploring the work of the pioneering artist Robert Rauschenberg, as part of the exhibition celebrating his life’s work. 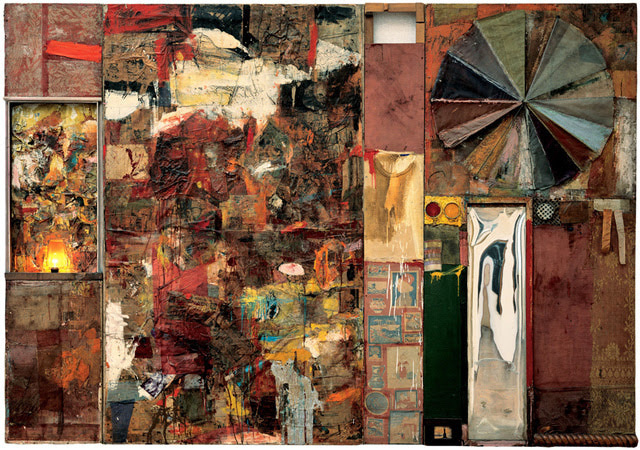 Over five weeks, through talks, discussions and practical writing exercises, participants will follow Rauschenberg’s innovations fundamental to 20th century art, while surrounded by his work in Tate Modern. Discover Rauschenberg’s innovative use of material, his ground-breaking sculptural combines, his engagement with popular and global culture beyond the US, his exploration of collaboration and conceptualism at the Black Mountain College, as well as his work in the field of performance, and his telling use of technology. This course is a chance to trace this iconoclastic artist’s life and continued reinvention, whose practise genuinely scanned the fullest range of artistic possibility proximate to our time, and as part of the course, to explore in your own work the lessons we can draw from his extraordinary legacy. More information, including booking, here.